One World Rental supply our clients with iPad Pro devices that are available for short term rental for events and exhibitions held across the USA. 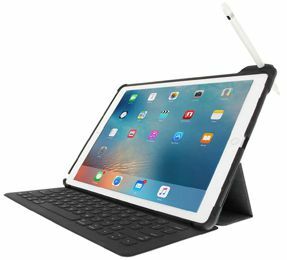 One World Rental can pair the iPad Pro with the Apple Pencil and Keyboard creating a stylish device with effortless Bluetooth connectivity. This will allow your audience to take notes and mark pages whilst they take part in a conference or workshop. This is not simply a larger iPad. This is an iPad that gives you the means to develop productivity and creativity to an unexpected level. Multitasking allows you to increase productivity by working in two apps at once. If you would like to find out more on how you can rent an iPad Pro for your event then contact us today for a free full consultation and competitive quote.